Today, I’m looking back at the journey I’ve taken with A Writer of History. And no … this is not the end of A Writer of History. Just an opportunity to contemplate how it has evolved. It all began early in 2012, when I decided to “push the reset button” and create a new blog to focus on the writing of historical fiction. I’d kept an earlier blog (now defunct) called One Writer’s Voice where I wrote about the business of writing and the notion of being an author entrepreneur. Ultimately, though, I decided to shift gears and create A Writer of History. You can find that first blog post about new beginnings here. The last seven (!!) years have been a wonderful experience. One that has connected me with many authors, bloggers, and readers, and I’m grateful to all of you who have come along with me on the journey, to those who have contributed thoughts and content, and to those who visit from time to time. I’ve written 817 posts (818 if you include this one). And visitors have grown from 964 in 2012 to over 56,000 in 2018. Never would have imagined that! Because I was writing novels set during WWI, I included many posts exploring my findings – from fashion, to military strategy, to WWI trench standing orders. At some point, I began to receive book review requests – the first one being The Twelve Rooms of the Nile by Enid Shomer. I was astonished to be asked for a review … imagine, someone ‘out there’ had noticed my little blog. I have to confess that I don’t do many of those anymore given that reading and then reviewing is such a time commitment. Instead, I invite authors to guest post or be interviewed, which also offers a chance to feature something about their latest novel as well as a book cover. Over the years, various topics have attracted my interest: the role of social media and reading, the life of an author, the excitement of historical research, the daunting challenge of marketing, my self-publishing journey, and the joy of being published. I’ve also included snippets from my own writing and sources of inspiration including my grandparents’ photos and mementos. I belong to three book clubs and have often posted about our book selections and the lively discussions we have. And for several years now, I’ve posted ‘A Year of Reading’ list with brief thoughts on each novel read that year. More surveys followed in 2013, 2015, 2017 and 2018. Each survey was an opportunity to discover more about the world of reading and to explore what the findings mean for authors. Although time consuming, the surveys have prompted much interest and I’ve used some of the insights in my own writing and marketing as have others. My first novel Unravelled was self-published in 2013 followed by Lies Told in Silence in 2014, and then Time and Regret was published by Lake Union in 2016 – I posted about them here and you celebrated with me. A few years ago, I decided to focus on a theme – Inside Historical Fiction – to look under the covers of historical fiction and illuminate those attributes that make it different from contemporary fiction. Many writers and readers contributed their thoughts. Another theme was Successful Historical Fiction. Last year’s theme was Transported in Time and Place which began with Dazzled by a Green Door. I’ve written about the purpose of historical fiction and compiled a list from the 2015 survey of favourite historical fiction novels. Another popular series were the WWI letters home from my husband’s great-uncle who served in France and Africa. I tagged these Somewhere in France and Somewhere in Africa. On the blog you can also find writing tips from well-known authors like Emma Darwin and personal posts: Will the Real M.K. Tod Please Stand Up; Grateful for Every Day (a post following the plane crash my husband and I survived), and one on my own #metoo experiences called A Lifelong Feminist. 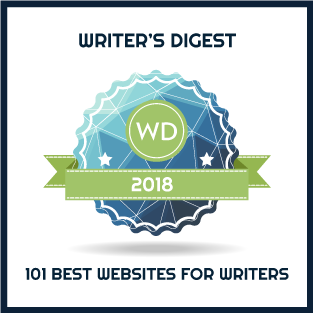 Much to my delight, in 2016 Writers Digest selected A Writer of History for its list of 101 Best Websites for Writers – and they repeated the honour in 2018. I’m grateful for the acknowledgement of what we’ve built together. So my friends, it’s been a rewarding journey. You’ve helped me along the way by cheering me on, adding your voice, and contributing your posts. I’ve enjoyed every minute of it and look forward to much more.